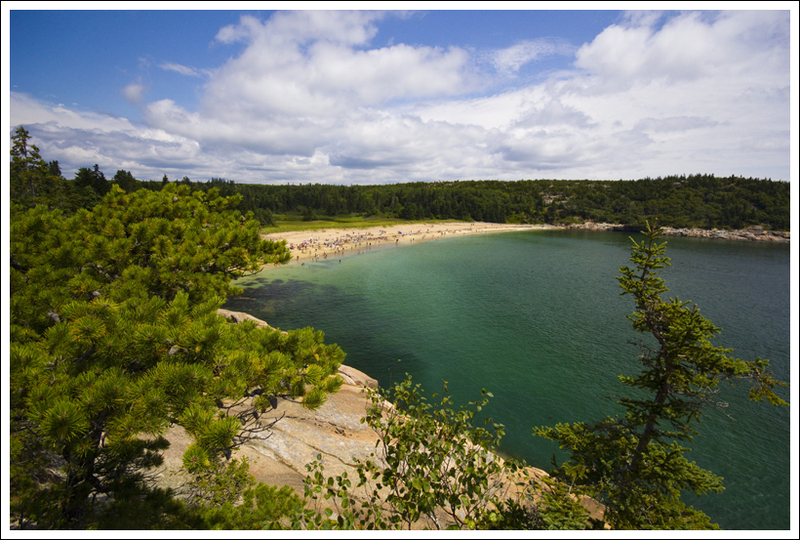 This route combines one of our favorite short Acadia hikes to the summit of Gorham Mountain followed by a visit to a beautiful glacial pond called The Bowl, and a return walk along the Ocean Path, passing famous landmarks – Sand Beach and Thunder Hole. Overlooking Sand Beach from Gorham Mountain. 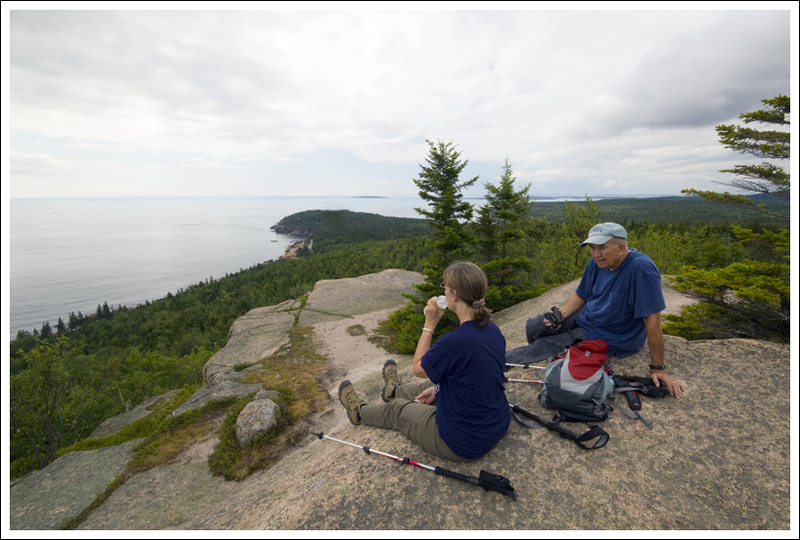 Below: Christine’s parents climb the Gorham Mountain Trail; Adam enjoys clearing skies and a view of the Bowl; Ocean scenery is spectacular along the Ocean Path. Even before I was an avid hiker, Gorham Mountain was always a hike I enjoyed. 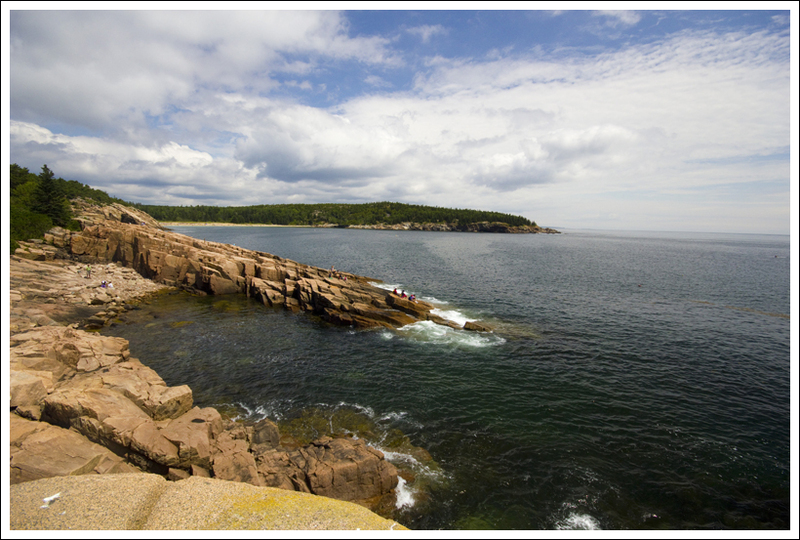 By itself, the hike to the summit and back is less than two miles, requires very little climbing and offers magnificent views of the ocean, the rocky Maine coast and Sand Beach below. If you walk the trail in late July or August, wild blueberries are abundant! We decided to hike Gorham Mountain with my parents one morning during vacation. We ate breakfast early and got to the trailhead before the crowds. 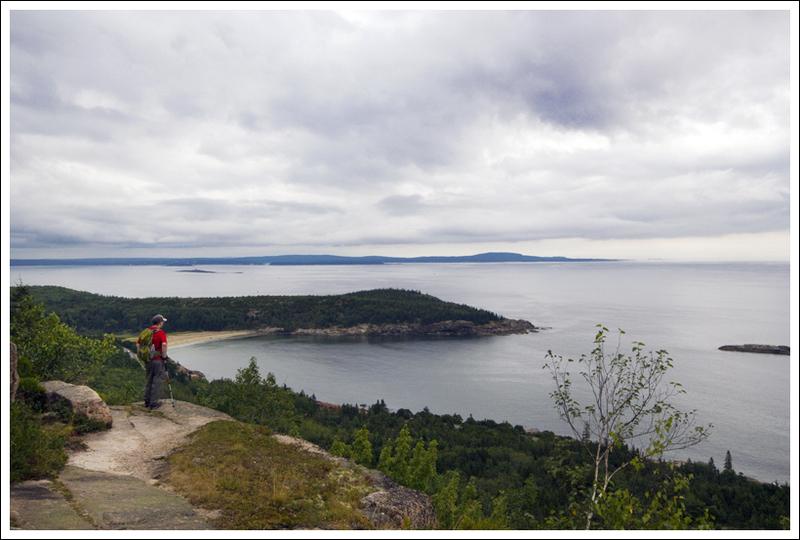 I really can’t stress enough how crowded Acadia trails get during the peak hours of 10:00 a.m. until 2:00 p.m. I always suggest that people hike early or late, or rely on the Island Explorer bus (it’s FREE!) for transportation around the island. On this particular trip, we actually drove separately from my parents because we wanted to extend our hike beyond the Gorham summit, and they did not. The day before this hike had been overcast and a little drizzly and unfortunately, some of the gloomy weather was still lingering for our hike. I was a little disappointed, because the lack of sunshine and blue skies always makes the ocean vista a little less colorful and sparkly. I always prefer to hike Gorham on a ‘perfect Maine day’. I would define ‘perfect’ as a sunny, 75 degree day with wispy or puffy clouds sitting in a deep blue sky. There would be a light breeze and I would hear gulls crying and the sound of lobster boat motors in the distance. There is nothing I love more than hiking Gorham on a day like this. Even with the heavy clouds, the hike was still lovely and I enjoyed the company. We hiked alongside my parents until we came to the junction of the Cadillac Cliffs trail. 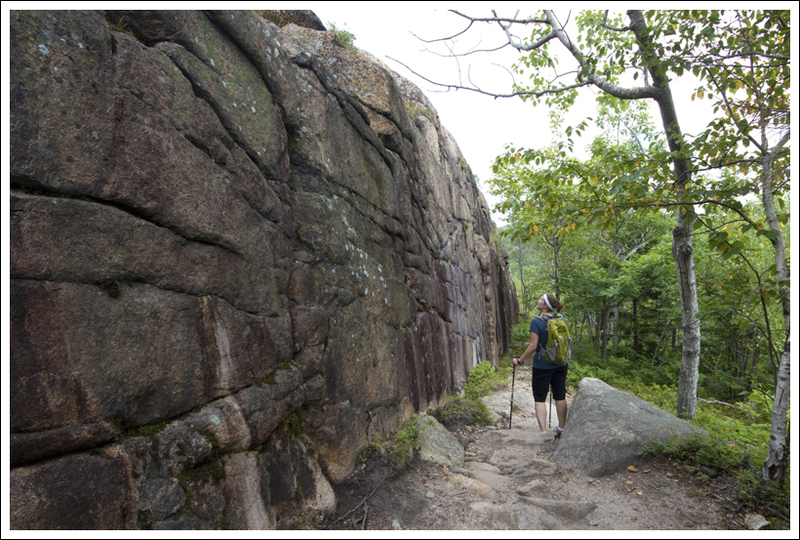 At this point, hikers can choose to stay on the easier Gorham trail, or take a little extra challenge and scramble along the boulder-strewn cliff trail. There aren’t any views from the Cadillac Cliffs trail, but climbing through caves and over enormous boulders is pretty fun. Cadillac Cliffs. 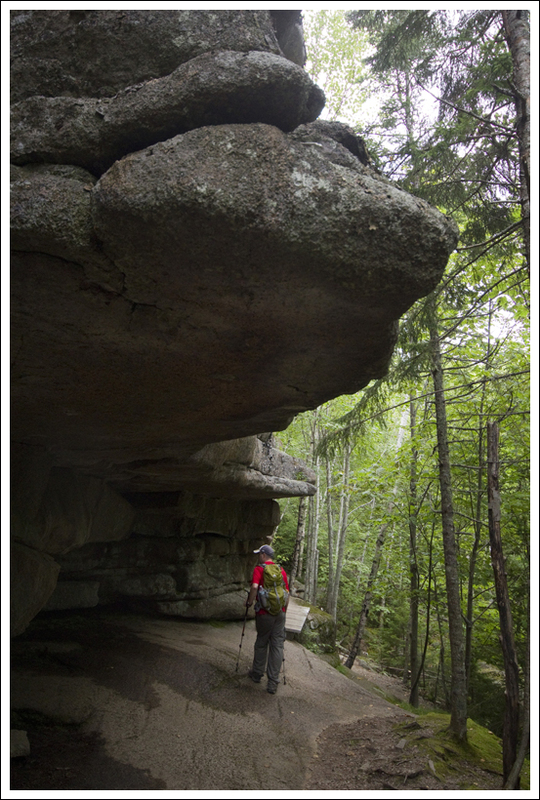 Below: Scenes along the Cadillac Cliffs Trail. We met back up with my parents a few tenths of a mile later and made our final climb to the summit. The views are spectacular all along this section of trail. In fact, the views right before the summit are probably nicer than the actual summit. We enjoyed the summit as a group for a while before Adam and I continued on our own. 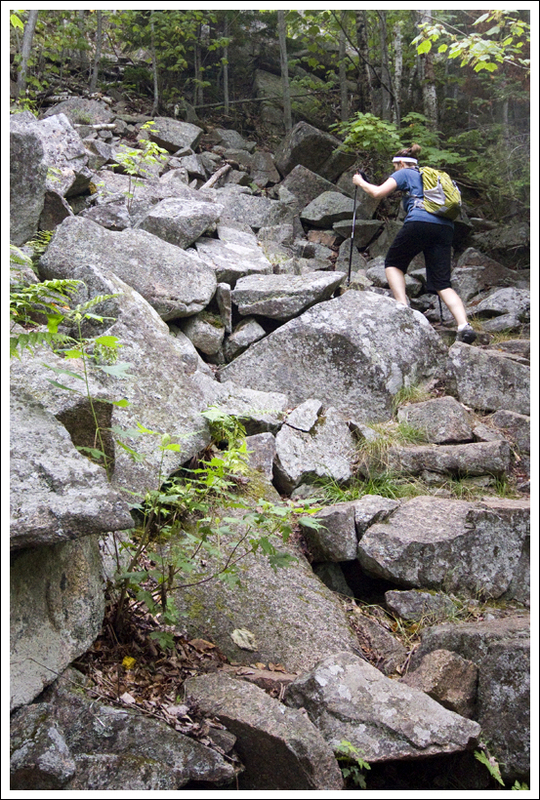 The Gorham Mountain trail climbs downward, passing some interesting cliffs, before eventually joining The Bowl trail. The Bowl trail climbs rather steeply uphill to a beautiful mountain lake. 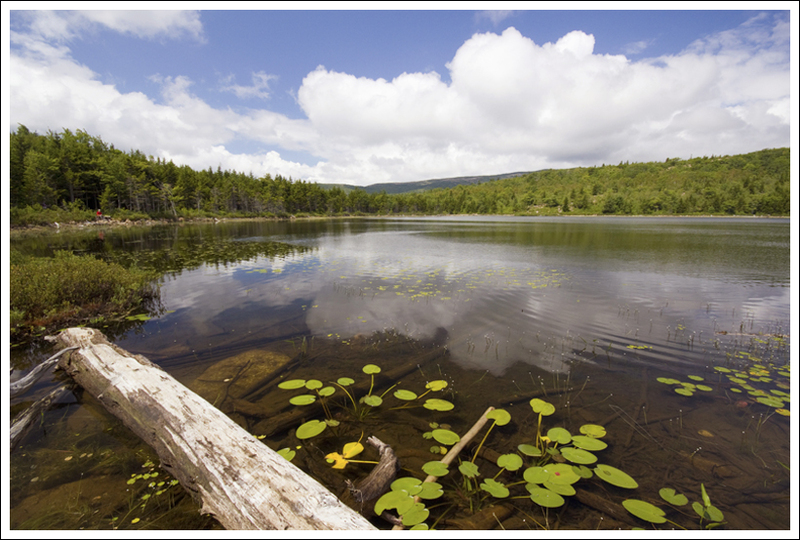 The lake is surrounded by boardwalks and benches, and is one of the few bodies of water in Acadia where you can swim. Many of the larger bodies of water are used for drinking water and swimming is prohibited. There were a fair number of people sitting alongside the lake when we arrived. We sat on a bench and almost immediately heard a child cry “Ohhh… that’s an eagle!” Sure enough, we arrived just in time to see a bald eagle go gliding across the lake’s surface. Talk about great timing! 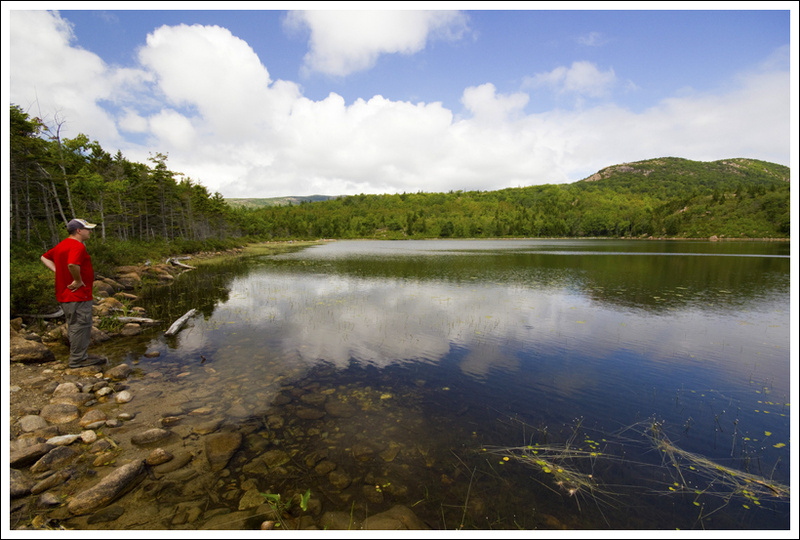 The Bowl is a beautiful glacial pond you’ll pass along this hike. Below: Christine checks out the interesting cliff face on the hike down from the Gorham Mountain summit; Trail marker at the junction for the Bowl trail; Thick crowds at Thunder Hole. While we sat at the lake, the clouds really cleared off quickly and the day turned into that perfect Maine day I described a few paragraphs ago. So beautiful! We hiked back down the Bowl Trail, past the junction to the Beehive trail and down to the Park Loop Road. The trail comes out right above Sand Beach, which is a great place to pick up the Ocean Path. The Ocean Path is a flat walking trail that runs between the ocean and the road. It’s very crowded almost all the time, and if you’re a faster hiker, you’ll have to dodge slowpokes. From the Ocean Path, there are a ton of small side trails that lead down to the rocky coastline. There are so many places to sit and enjoy the view! The walk along the path goes on for about 1.3 miles and eventually passes by Thunder Hole. 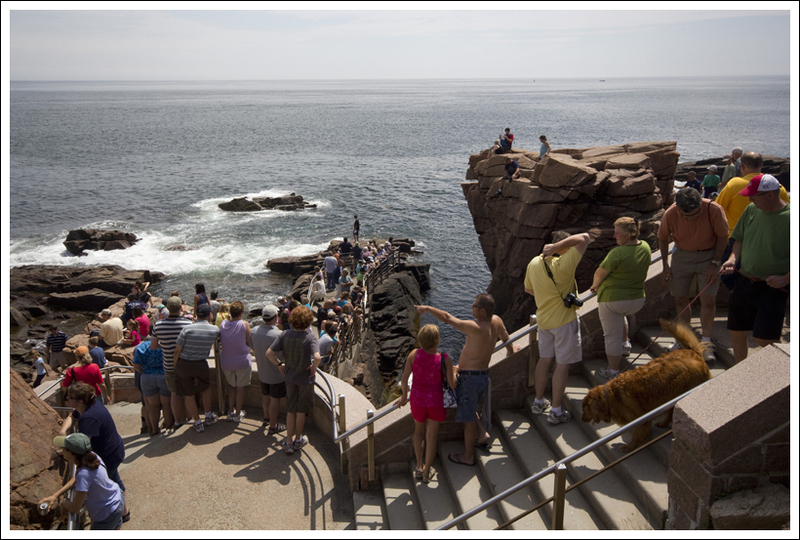 When we passed Thunder Hole, it was so crowded we couldn’t even get down to the viewing platform without waiting in line. We’ve seen Thunder Hole so many times so we didn’t stay long. Besides, it wasn’t thundering at all. The tide was so high that the sea cave stayed full of water regardless of the wave action. There just wasn’t any force to create the sound the spot is named for. The Gorham Mountain parking lot is just a tenth of a mile or so past Thunder Hole, so we were back at the car after a few more minutes of walking. We headed straight to lunch in town – lobster rolls at the Portside Grill! 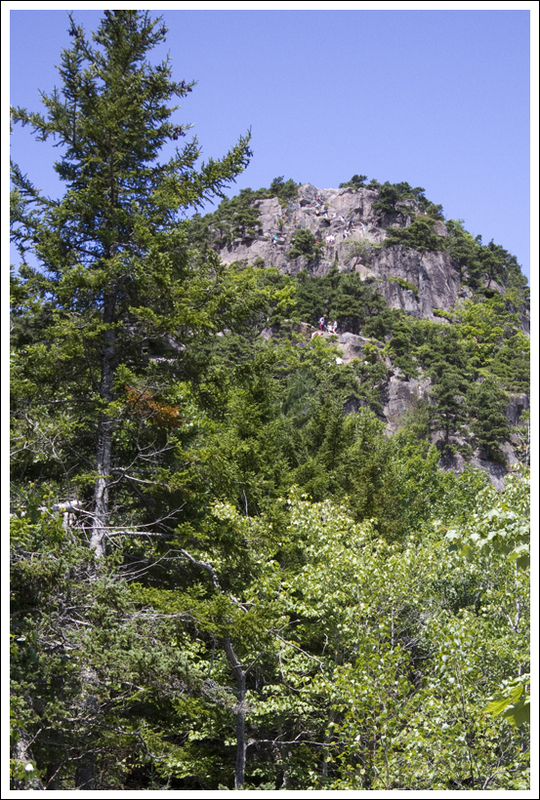 Whenever we talk about going to Maine, one of the things we plan on every trip is a hike up Gorham Mountain. In fact, a few years ago when we came up to the park and knew we had a whole week of rain ahead, we quickly got in a hike up Gorham. As Christine mentioned, just going up Gorham Mountain is a short hike, so it is easy to fit in when you have a break in the weather. The View from the Gorham Summit looking toward Otter Point. 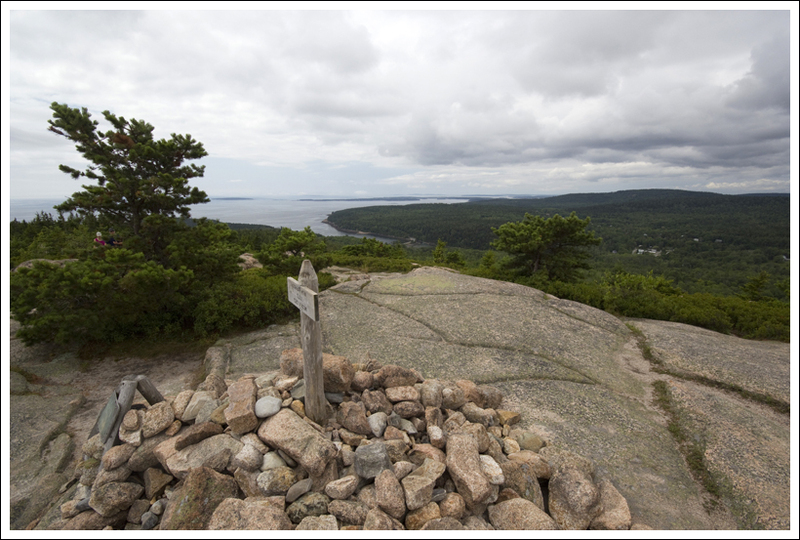 Below: Christine’s parents enjoy the view; The rock pile marks the summit of Gorham Mountain. You can find the parking lot to the trailhead on the right shortly after the Thunder Hole parking lot. The trail starts off with lots of roots and granite to navigate and can be a little slippery if a storm has recently come through. The trail consists of a gradual uphill climb and is a popular trail for people of all hiking levels. 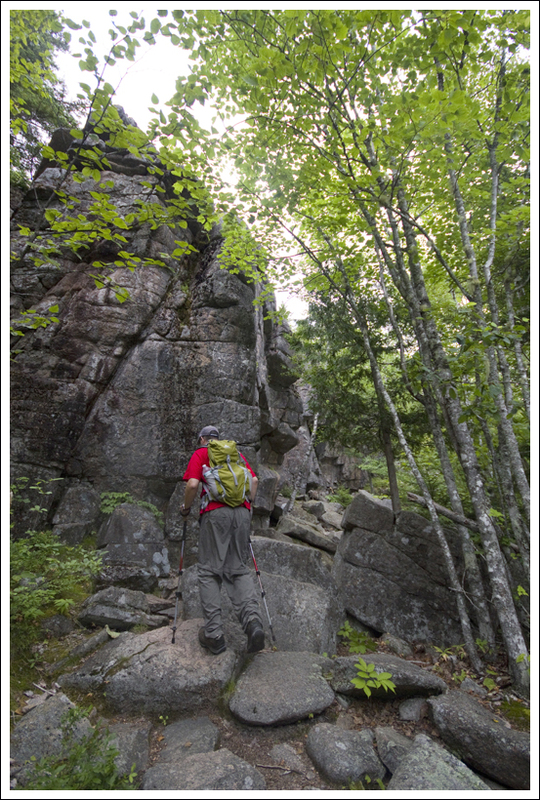 At .2 miles, you reach the junction with the southern part of the Cadillac Cliffs trail. This is definitely a more challenging side trail, that includes some rock scrambling. If you want to try the Cadillac Cliffs trail, do it on the way up since it could be more treacherous going down. 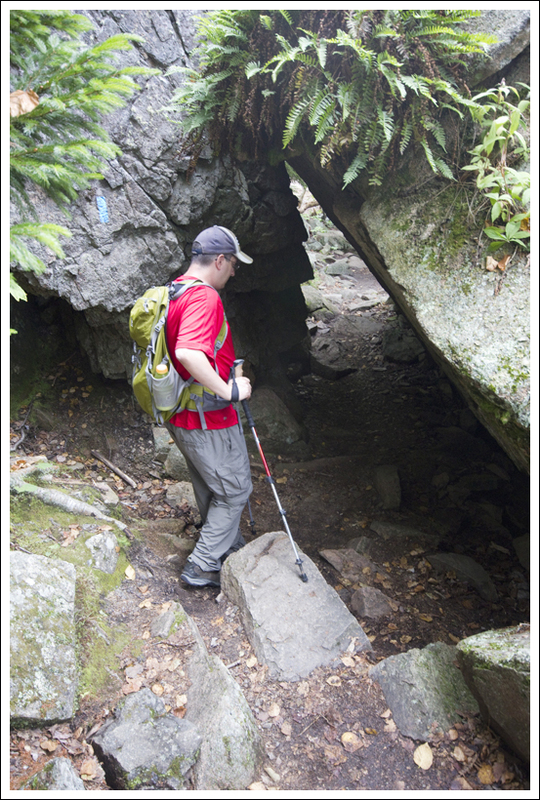 The Cadillac Cliffs trail doesn’t really provide any great views, but it does have a small cave to go through and some interesting rocks to scramble. By the time you reach the northern junction at .5 miles, you will likely need to catch your breath. Rejoin the Gorham Mountain trail by taking a right at this junction. You will continue to climb upward and will see lots of places to take in the views along the way. 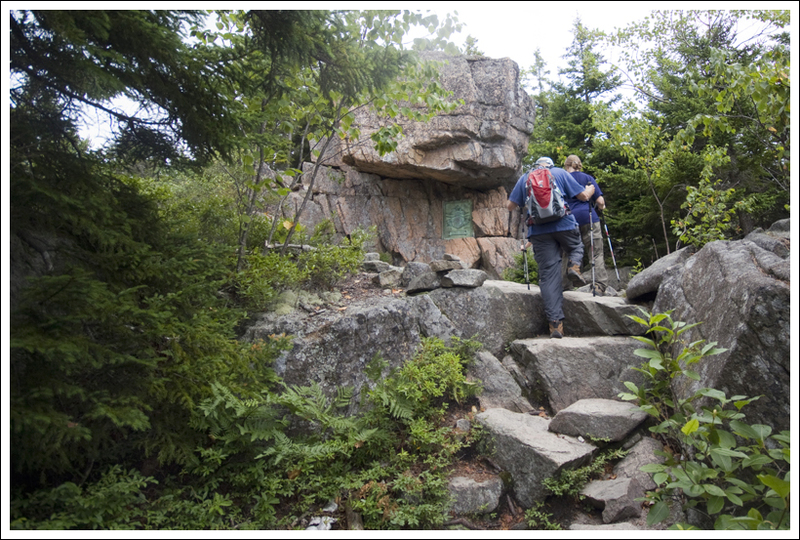 At .9 miles, you will reach the 525 foot Gorham Mountain summit. 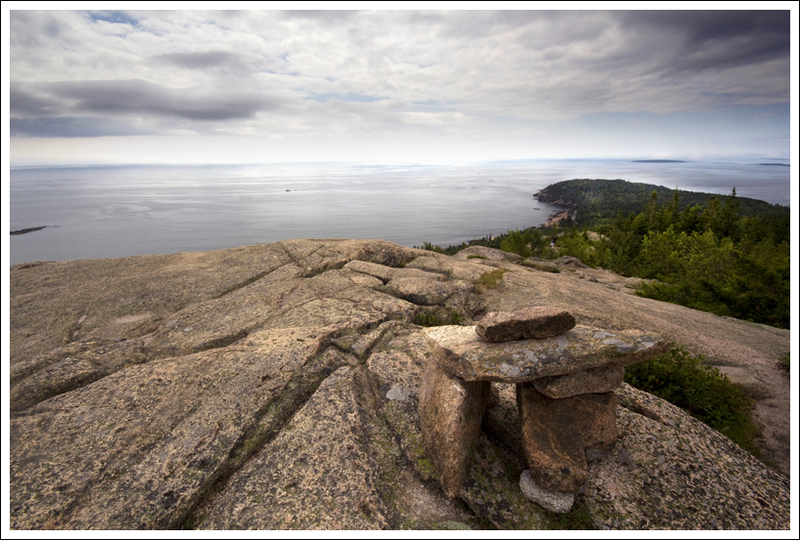 On the way up the mountain, you typically get views of Sand Beach and Great Head, but from the summit, you can also see Otter Cove, Day Mountain, Pemetic Mountain, and Cadillac Mountain. We continued on the trail from the summit. At 1.5 miles, you reach a junction with The Bowl Trail. Take a left and climb up the steep terrain through the woods until you reach The Bowl at 2.0 miles. From The Bowl, you can also see close glimpses of the summit of The Beehive and there is a trail that connects with it. We took in the views around the lake and then went back down The Bowl Trail, towards the Park Loop Road. At 3.2 miles you will reach the Park Loop Road. Cross the road and proceed on the Ocean Path, heading past Sand Beach. You will likely see tons of cars and people along the road between this point and Thunder Hole. 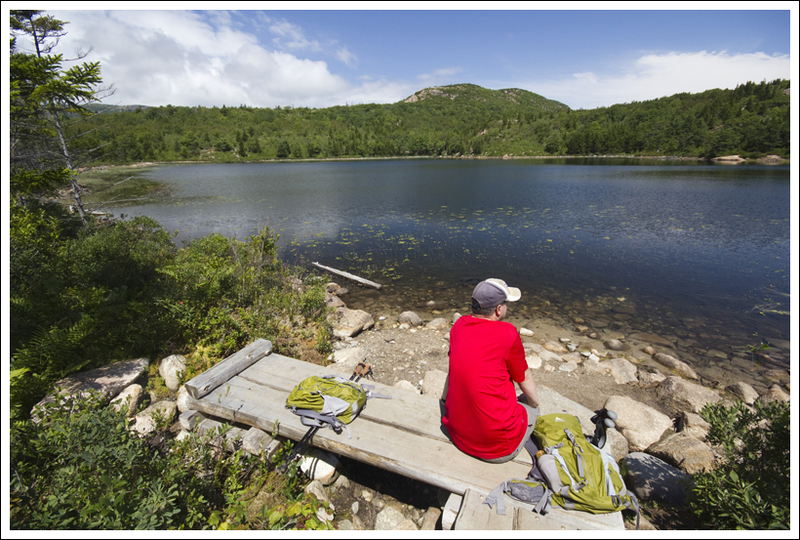 You should reach the Gorham Mountain parking lot around 4.4 miles. Sand Beach from the Ocean Path. Below: If you look at the larger version of the Beehive photo below, you will see the long queue of people climbing the mountain; Adam enjoys the bench at the Bowl. We had a funny moment when we first started the hike. A family was coming back from the summit and spotted us with their trekking poles. One little girl was asking why we were all using two ‘canes’ to walk. The parents had responded that we were “professional hikers”. We got a few laughs out of that. If only we could get paid to go hiking (or at least pay for some of our hiking gear). There are many things about this hike that make it one of our favorites. The blueberries are ripe during July and August and are plentiful on this trail. I think I picked the largest, juiciest blueberry ever during this hike. We always enjoy looking over Sand Beach. You can see the dots of people on the beach, but not many in the water due to the temperature. Walking back on the Ocean Path, you could hear the screams of children as they were being hit by the freezing waves. You can also count on being able to see a lobster boats in the area, bringing up traps, or a large sailboat rounding the harbor. You may also be able to catch a little rumbling from Thunder Hole, but the largest rumblings typically occur in the fall after a storm. This area has also been where two recent movies have been filmed. You can see Sand Beach in The Cider House Rules and nearby Otter Cliffs was used in Shutter Island. Difficulty – 2. This is an easy family hike, suitable for most fitness levels. Trail Conditions – 3. 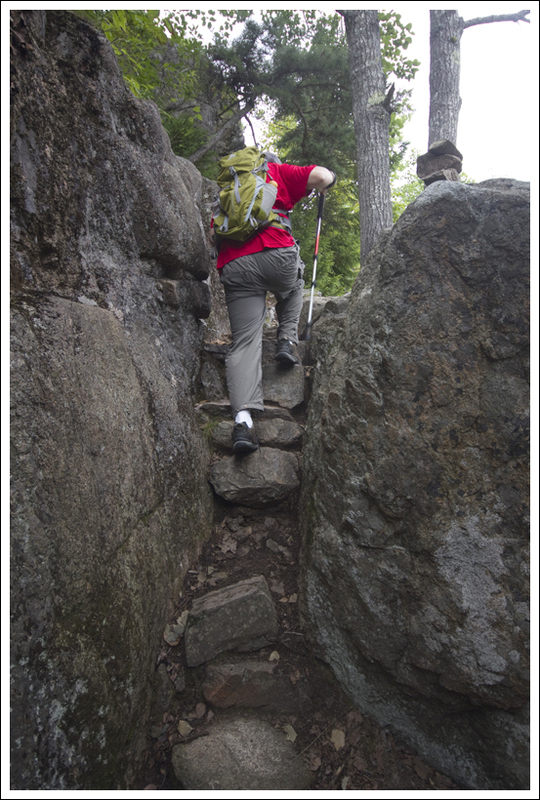 Trails in Acadia are always rocky and rooty and can be slick when wet. Waterfalls/Streams/Lakes – 4. The Bowl is a beautiful glacial pond. Wildlife – 3. We saw an eagle – that counts for something! We’ve heard that people occasionally see whales off in the distance, but we never have. Ease to Navigate – 4. Pay attention to the cairns and markers at trail junctions, and it’s hard to get lost. Solitude – 0. This is an extremely popular area. No matter when you hike it, you will see people. 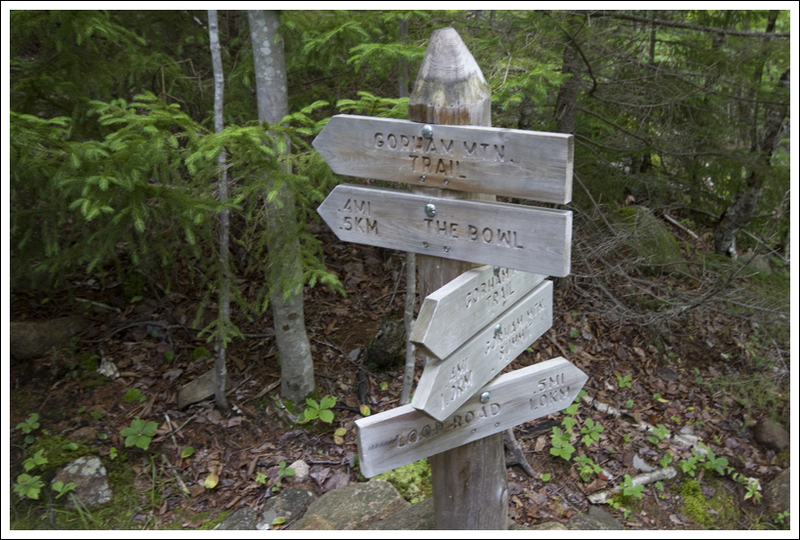 Directions to trailhead: The trailhead is located in the Gorham Mountain parking lot on the Park Loop Road in Acadia National Park. The parking lot is about .5 mile south of Thunder Hole.